Today, Americans would be shocked to see a new Greek Revival school or library built. Would it remind them the Republic was intended to be self-governed? Architecture mirrors society and represents its aspirations. Historic building traditions embody a society's long held meanings and beliefs. Culture in this sense is literally constructed. Widespread interest in all things Classical in the late18th and early 19th centuries idealized the democratic republic of ancient Greece. 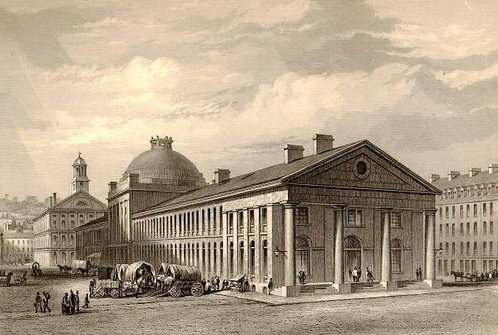 Greek architecture remained a private concern of enthusiasts and historians until around 1800 when temple front Greek Revival designs began to appear in England. "Their sobriety and restraint could be seen in its wider social context as an assertion of nationalism, a response to the Act of Union, Napoleonic Wars, and clamor for political reform." Neoclassicism soon came to dominate British architecture and was invoked for the most important buildings of the era. In London alone between 1817 and 1829 twenty-three Greek Revival churches were built. In Europe's more remote northern regions, in Scandinavia and western Finland, Greek Revival motifs were grafted to earlier Baroque designs. Significantly, in every country the Greek Revival flourished it was thought to express nationalism and civic virtue. 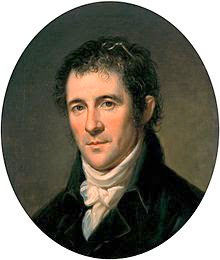 In the fledgling republic across the Atlantic, British trained architect Benjamin Henry Latrobe (1764-1820) was enlisted by President Jefferson to be Surveyor of Public Buildings of the United States. His primary task was to oversee construction of William Thornton's design for the new United States Capitol. The classical orders were not entirely bound by historical precedent. There are corncob and tobacco leaf motifs in the decorative scheme for column capitals, and cynics could wonder if lobbyists were already working the Hill. Latrobe was America's first prominent architect. He gave assistance to Jefferson in several of his architectural projects, and through his apprentices helped shape the next generation of architects. The classical revival that emerged in the 1820s was labeled "Greek Revival," reflecting a romantic vision of Greece. Neoclassicism was actually a combination of sources including classical Greek and Roman, but also Renaissance, Vitruvian, Palladian and Georgian. It was perhaps claimed a "revival" to suggest a continuity of intentions and depth of precedent. There was in fact little beyond the familiar temple front portico that could be traced directly to Greece. Its Hellenistic associations were more political than architectural. America's classical revival became widely popular in the 1830s, and was seen as an expression of its civic culture. Americans were still acutely aware of a political distinction between the Greek Republic and Roman Empire. It was an empire the Americans broke from to form their own republic. A republic was built on the rule of law with citizen protection from despotic rule, whereas Rome was ruled by an Emperor. Both ancient cultures employed classicism, but it was Greek democratic self-rule the Americans intended to follow. In colonial New England, the meeting house was the means to self- government. New settlements were expected to build an assembly hall large enough for all citizens to gather. The buildings served for both worship and town government, and were built and maintained through local taxes. On occasion, meeting houses were also used for criminal trials, protests, a defensive fort, barracks or hospital. While Sunday worship was the building's primary purpose it also facilitated direct democracy through town hall meetings. Colonial meeting houses were built no larger than necessary, roughly square in plan, and included a raised pulpit on the long wall opposite the entry. The focal point was the pulpit, lit by a tall window behind. A center aisle divided family boxes, or later pews. Larger meeting houses might have a horseshoe balcony above main floor. Layout was tight to draw the congregation close. The speaker at the pulpit could be heard readily, but also see the face of everyone in the room. When a communal decision was required the townspeople gathered here to debate and vote. Consensus was the goal, and the majority always prevailed. Boston's Quincy Market with Greek Revival portico was designed by Alexander Parris in 1825. Faneuil Hall is shown in the background. 1905 Carnegie Library, Lexington, KY, by architect Herman Rowe. 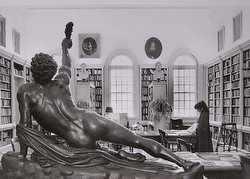 In this era, the Carnegie-donated library was often the most elegant and memorable building in town. 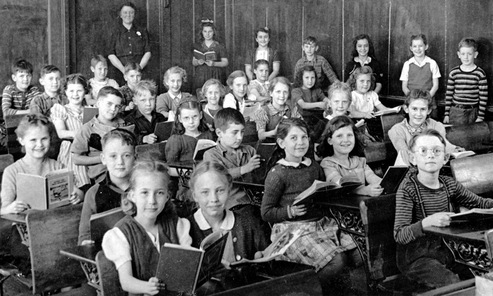 Today, Americans would be shocked to see a new Greek Revival school or library built. Would it remind them the republic was intended to be self-governed? Not likely. As Benjamin Franklin was seen leaving the 1787 Constitutional Congress in Philadelphia someone yelled, "What have we got, a republic or monarchy?" Franklin responded, "A republic, if you can keep it." The Founding Generation would have been appalled to see how quickly their vision and cautions were forgotten. America soon followed the pattern of other empires, all the while denying it. By "empire," we simply mean the uncoordinated, and sometimes competing, imperial policies of political elites who intend to dominate and exploit others less powerful. Washington's undeclared empire is today a tangle of deception, corruption, and supreme arrogance. Overextended and $20 trillion in debt its collapse seems inevitable. Gee, how could this have escaped the attention of the mainstream media and American people? Only the middle class with ample access to alternative news online could know the extent of this corruption and assert its democratic authority. Worker bee Americans with ridiculed values like honesty, fidelity, and thrift have been frustrated with the mismanagement of the nation for decades, yet remain passive. They accept the limits of life in the hive and succumb to groupthink. Many are aware of the false narratives that must not be challenged, and see free speech eroded as elites consolidate power. The middle class remains complicit since their standard of living has not (yet) collapsed. People keep quiet to avoid being noticed. What happened to the "land of the free and home of the brave," first man-on-the-moon nation? It did not require a huge conspiracy. The American oligarchy of globalists, neocons, powerful interest groups, and purveyors of mainstream news are co-dependent. They must implicitly cooperate to manage citizen perception and convince people to act against their own interests. To this purpose the mainstream media supplies an endless flow of propaganda to launder our brains, encourage fear, dependence and cognitive dissonance, and to keep the elite on top. The media's incessant repetition of official claims does the trick. Those who dominate American society today have no regard for the truth or democracy, only control. The public to them are "useful idiots" to manipulate and manage, as Leo Strauss taught his followers. Six media giants (GE, News Corp., Disney, Viacom, Time Warner, CBS) control about 90% of the news. Their 232 executives determine the information diet of 277 million Americans. They have exercised remarkable discipline in presenting consistent stories and self-policing to eliminate voices of dissent. Theirs is a system of rewards and punishments. If you want your voice heard in mainstream media you must self-censor, and those who cross the unstated boundaries are banned from participation. It should be no surprise that many Americans remain clueless. Elites shape public policy by encouraging what James Bovard called an "attention deficit democracy" in which citizens become cynical, opt-out and accept their dispossession. As the rule of law has been turned on its head and a surveillance state erected, many Americans remain oddly captivated with sports spectacles, celebrities, and being the star of a Facebook page. Addicted to endless distractions from their smartphones they show little resistance or even capacity for independent judgment. Political correctness is central to understanding the transfer of power in U.S. from the many to the few. Promoted in the guise of a respect for diversity, its real purpose was to silence dissent. It undermined self-government by making most controversial subjects off-limits. The idea was to pathologize dissent, as if there could be no legitimate difference of opinion on the topic. Enforced by media gatekeepers, a "spiral of silence" envelops any non-approved interpretation or political view implying that anyone who would hold such a view is either a threat or nutcase. For instance, if citizens asking for proof can be labeled "conspiracy theorists," their challenges can be dismissed. If whistleblowers are presented as "traitors," few will be willing to come forward. Is this power? Real power is getting people to self-censor, and not say what they believe to be true. The masters of deceit are especially careful to avoid any unscripted public discussions of foreign policy, loss of Constitutional protections or checks and balances. When well-funded special interests and intelligence agencies frame the issues, citizens can be easily duped. Most people understand that "if they can get you asking the wrong questions, they don’t have to worry about the answers." The mainstream media provides the U.S. electorate with the wrong questions, and quislings as viable candidates. Fools receive generous media attention to drive support to the preordained candidates, although as we saw in the 2016 election this exposure can backfire. Trump was featured since he seemed to the Dems the candidate least likely to beat Hillary. Any independent voices that emerge can be ignored, marginalized, or smeared if they persist. When whistleblower Edward Snowden came forward to reveal the massive illegal NSA spy program which targeted all Americans he was smeared by the media to divert attention from the facts. Former President Carter was asked for a reaction. He calmly told reporters, "America does not at the moment have a functioning democracy." Americans may be finally awakening to the reality that they have no voice in governance, and their political actions have no consequence. They can see the countervailing forces that provided balance have been removed: Independent news services were the first to go. Corporate off-shoring of U.S. manufacturing jobs effectively destroyed labor unions. Deregulation of the financial industry reversed citizen protections, like the Glass-Steagall Act (1933-1999) which prevented commercial banks from playing the Wall Street casino with customer deposits. Universities and public institutions that were once impartial are now in a PC lockdown, ready to wreck the career of anyone who does not conform. Congress, with its approval ratings barely above single digits, has devolved into a one-party hot-rhetoric political Kabuki, debating issues that many recognize as false or misleading. The corporate media has conditioned Americans to think almost all authority resides in the President-As-Seen-On-TV, and the elected Congress and representatives at the State and Municipal levels are irrelevant. They suggest the busy citizen's duty is merely to accept the viewpoints offered. Imagine the elites' rage when voters rebel. The 60 million "deplorables" who hoped to unplug from the matrix and "drain the swamp" will never be forgiven! In contrast, look at Parliamentarian governance in places like Sweden and New Zealand where the focus is on political platforms, not personalities. Since no party enjoys majority rule, the larger ones must cooperate with minority parties to form coalitions. The U.S. has relied on separation of powers--an independent Congress, Judiciary and Executive--to protect citizens from corruption, but this has been undermined by influence peddling and intimidation. Concentration of power in a unitary executive serves the interests of elites and deep state. Only the strongest and most capable President could overcome their guidance, and such a person would never be tolerated. Checks and balances critical to the republic have been dismantled, and the United States is careening toward disaster. We know communities can be turned around by reviving their civic character and participation. A small number of determined citizens can make the difference by inspiring their neighbors and mobilizing underutilized assets. In a small town, perhaps only a hundred people of diverse talents and ages could clear a path to recovery, and gain the majority's support. Real recovery will be citizen-achieved from the bottom up, not in pay-offs from the top down. Democratic self-government requires social capital, and this is created by strengthening families, communities, local institutions, and the bonds between them. Dispossession requires a demoralized people who feel resistance is futile. People who maintain strong bonds and expectations for justice cannot be conquered. Whether the United States coheres and is revived, or breaks-up into hostile factions we cannot know. If personal liberty and the rule of law can be restored, some citizen groups will likely discover the nineteenth century Greek Revival as a useful model. Its expressive powers will be seen as a historical precedent for the kind of civic structures they envision-- like meeting houses to convene citizens, and schools to inspire the youth. Classicism is an ever-evolving two thousand year old tradition. It could again become an "expression of nationalism and civic virtue," and a response to the "clamor for political reform." It has happened before. Will Americans somehow divert this Titanic with over 330 million aboard, and heading straight for an iceberg? If America survives its corruption and civic neglect it will be because the adults finally arose from their sofas to save themselves. The only way to break orthodoxy is with heresy. Open-up the public debate. Opponents of Washington's duplicity are America's still uncorrupted independents--who the mainstream media now call "domestic extremists." The elites and their media stooges cannot embezzle from trusting Americans forever. Evidence-free claims from unnamed sources or the "intelligence community" have become increasingly bizarre, as presented by talking heads with an almost hysterical bias. Credibility, balance, and rationality are disappearing in the fractured society. The six media conglomerates should be broken up, enforcing the Sherman Antitrust Act of 1890. Only then can issues critical to the nation's survival, like the neocon's pursuit of endless war, global hegemony, and destruction of Islamic nations, be openly discussed. Restoring solidarity among increasingly diverse population will require the "arbiters of culture-- academics, media, and Hollywood-- to relinquish their multicultural grievance polemics and the preening pretense of defending the downtrodden." Identity politics, the Democratic National Committee's misguided strategy to recapture Washington, is tearing the nation apart. How quaint and trivial the Greek Revival must sound given this context. Recall that mid-nineteenth century Americans also lived through disastrous times when the Federation of States came apart. In the background the Greek Revival served as a unifying presence for the people. It represented a renewed commitment to civility, decorum, and the Framers' vision for a constitutional republic. The revival was a quiet form of protest, an insistence that politicians realign with the civic aspirations of ancient Greece. The ideal was given a physical form and presence in the community. 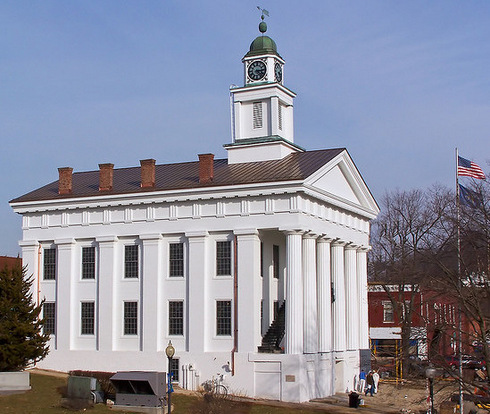 The 1845 Orange County Courthouse in Paoli, Indiana was restored in 2010, bringing gravitas and air-conditioning to the landmark structure. Residential construction of ancient Greece was mostly one story courtyard housing. There were surely no standalone single family houses with a temple front. Those later designs are Neoclassical, and the Americans freely adapted them for all kinds of residences. 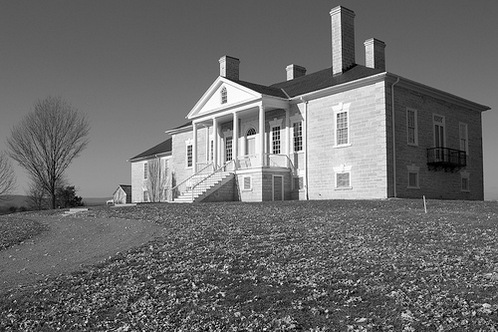 Early precedents in the U.S. were Georgian and Federal manor houses like the Belle Grove Plantation (1797) in Virginia's Shenandoah Valley. Greek Revival details were popularized through pattern books, like Asher Benjamin's The Practical House Carpenter (1830 edition). The style was promoted through decorative details rather than house plans, so a variety of types evolved. Greek Revival houses began to show up in northern New York, the Western Reserves of Ohio and Middle Border states. 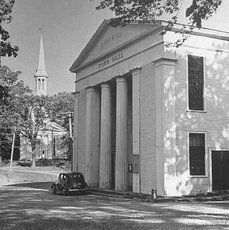 As American cities took shape between 1820 and 1860, the Greek Revival was the preferred style for civic buildings and churches. Neoclassicism evoked virtue and honor in Yankee New England as well as the Old South. The style coincided with social reform and a Christian revival that evoked a "tenor of idealism, and vision for an orderly and moral world." Americans for a time aspired to higher purpose. The ambition was soon crushed by the war between the states, and required decades to recover. After 1900, the classical temple front was enlisted for civic duty in the design of courthouses, post offices, schools and libraries. 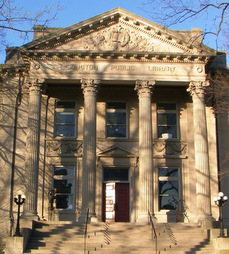 Many small towns were graced with a single Neoclassical structure, a new library donated by the Andrew Carnegie Foundation. Carnegie provided 1,689 grants to build public libraries in the U.S. between 1889 and 1929. The contribution was significant, nearly doubling the nation's libraries at the time. Before the mid-19th century libraries were either private or by subscription, and their resources accessible to only a few. The first tax-supported community library opened in 1833 in Peterborough, New Hampshire, and the first municipal library in 1848 in Boston. Carnegie intended to "bring books and information to all people." He understood that if this nation of working class immigrants was to cohere and advance, equal access and opportunity were essential. Only an informed citizenry would be able to maintain self-government and democratic rule. Spring Valley, Minnesota. 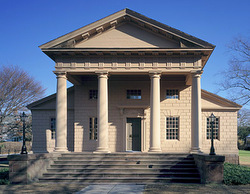 Small town banks employed the Greek Revival to suggest they were honorable and durable institutions. 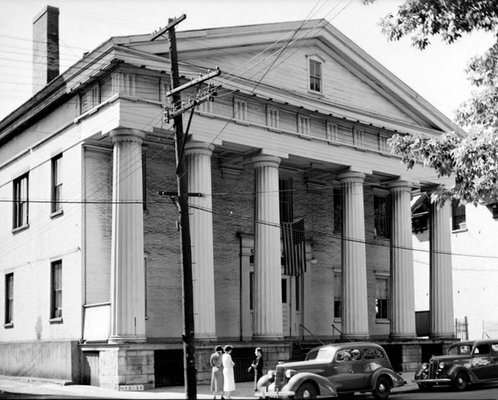 Greek Revival house served as Charleston Free Library for about thirty years. 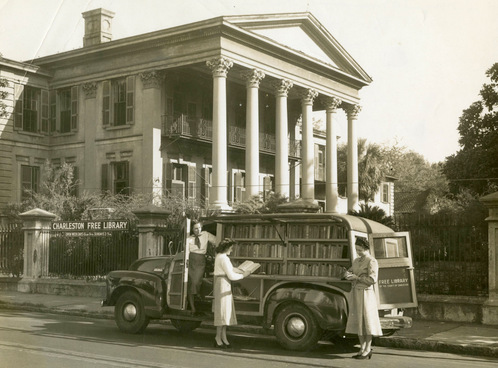 This was the library's new (1948) bookmobile, a Chevrolet panel truck with sides hinged to form canopies. Its mission was to bring the library's resources to rural residents. 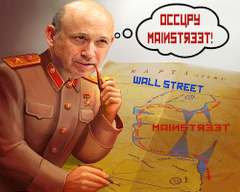 Surely, the globalists and banksters have only our best interest in mind. Redwood Library and Athenaeum has been restored and sympathetically expanded since 1915 by architects Norman Isham, George Snell and George Champlin Mason. 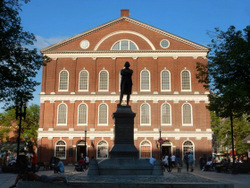 ​1742 Faneuil Hall, Boston, MA Original meeting house was designed by John Smibert, but redesigned and enlarged by architect Charles Bulfinch in 1806. David Brussat photo, 2016. 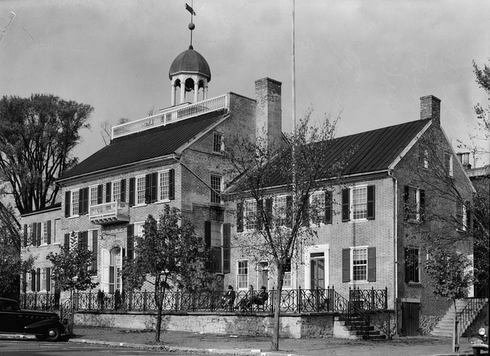 1732 New Castle Courthouse was Delaware's first capital building. From this point a twelve-mile arc was cast to define Delaware's northern border. 1936 view shows restoration completed during the American colonial revival. ​2011 New Castle Courthouse. Preservationists insisted those sweet charms of the colonial revival-- cute shutters, arched entry portal, and balcony corbels-- had to go. Latest restoration depicts an earlier more austere version. 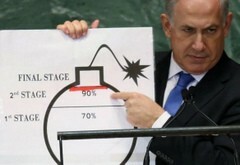 Israel's Prime Minister tells his not-so-bright patrons who the U.S. should attack next. Mostly out of view and enjoying lavish budgets, the deep state must find enemies to justify its existence.